Congratulations to our 2018 award winners! 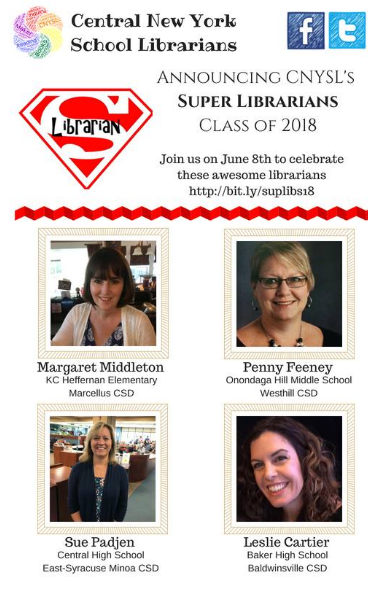 We will celebrate these Super Librarians at our banquet on June 8. The Award Review Committee is composed of previous winners of this award. Click here to see our pass recipients.